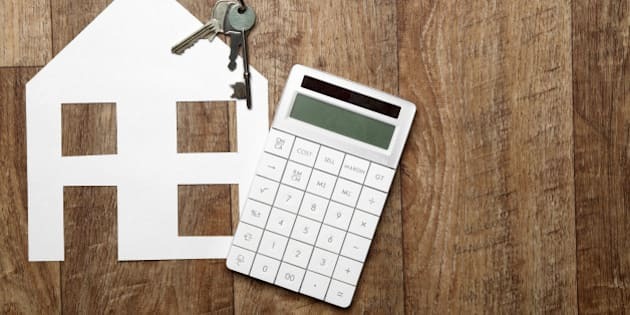 With high prices and many potential buyers struggling to enter the market, some buyers are considering stretching out their payments with a 35-year amortization rather than the typical 25-year amortization that most Canadian homebuyers use. 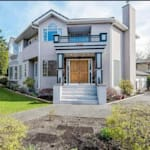 British Columbia and Vancouver in particular is a hot real estate market at the moment. In fact, the Vancouver Sun reports that April was B.C. 's strongest level of sales for that month in a decade and a 29 per cent increase over April of 2014. The province's growth in employment is not as high as we'd hope but people seem confident in the rise of property prices. The obvious advantage of a longer amortization is that it reduces your mortgage payments. The major downside, of course, is that you pay more in interest over the life of the loan, but the majority of lenders will allow lump sum payments or increases in payments so that you can pay down your mortgage and reduce your amortization later on. Usually a 35-year amortization will have a rate premium anywhere from 0.05 to 0.25 per cent, so if the current rate is at 2.69, a buyer might get a $400,000 mortgage at 2.79 per cent. Their monthly payment would be $1,489 based on the bonused rated and extended amortization, but if they increase their monthly payments by 5 per cent (paying roughly an extra $75 per month), for five years, they could reduce their amortization to 25 years and 3 months, taking 10 years off on their repayment period. Biweekly or weekly accelerated payments as well as lump sum payments would also reduce the repayment period. Keep in mind that 35-year amortizations are only available from a select few lenders, so you don't have as much opportunity to shop around and compare rates. And because longer amortizations are not available for insured mortgages, you need a down payment of at least 20 per cent to qualify, which rules out a lot of potential buyers. For young professional buyers who know their salary will increase over time, a longer amortization gives them a comfortable mortgage payment in the short term and the ability to accelerate payments later on as their earning power increases. This could also allow them to qualify for a larger home and stay in one place instead of needing to upgrade in a few years as their needs change or the family grows. I helped a client refinance into a longer amortization following her divorce. Fortunately, she had more than 20 per cent equity, so refinancing into a longer amortization allowed her to stay in her current home with a mortgage payment she could afford on just her income. It doesn't always make financial sense to keep the house after divorce, but not having to deal with moving and house showings can reduce stress at an already very stressful time. A longer amortization may make sense for an investment property, because the owner pays more interest in the long run but can claim the mortgage interest on their tax return. A longer amortization doesn't make sense for everyone, but it still available from a small number of lenders and may make sense in certain situations. Always run the numbers first so you understand how much you're paying over the life of the loan and weigh that against other factors.